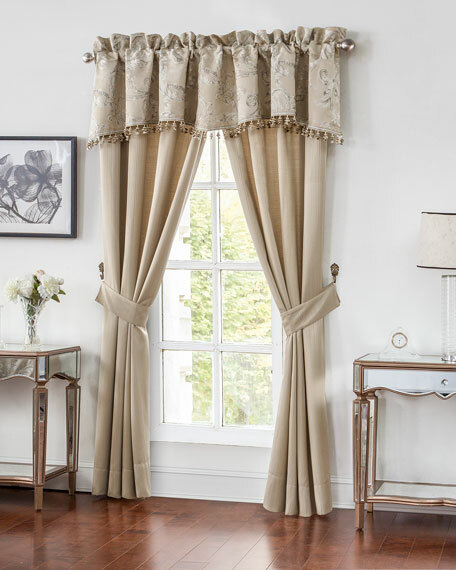 Scalloped leaf jacquard valance with tassel trim. 3.5" rod pocket; 3" header. Pair of taupe stripe jacquard curtains; each, 50"W x 84"L.
Tiebacks included; 4"W x 25"L.